Russian President Vladmir Putin has reportedly vowed to stand by Zimbabwe and shield the southern African country against any “Western aggression”. President Vladimir Putin vowed this in Moscow on Sunday during a meeting with President Mugabe that he would protect Mugabe and his government against any western aggression. 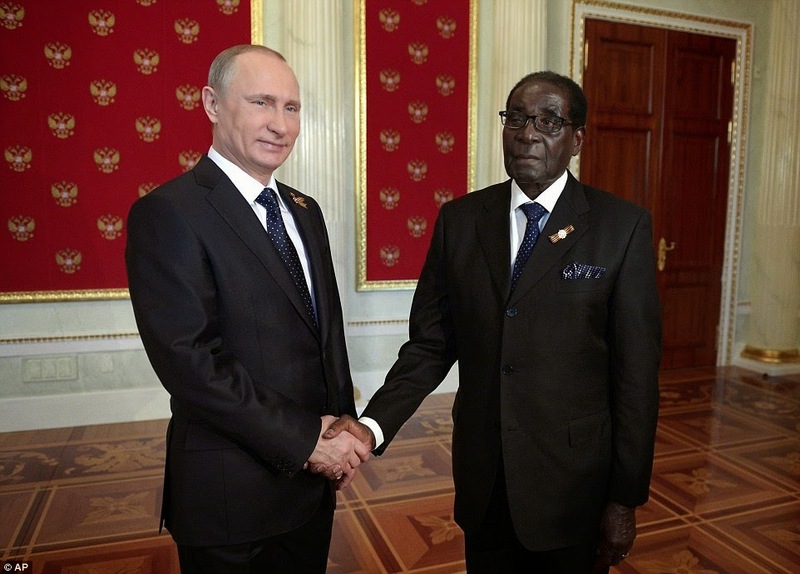 According to The Herald, Putin, who was speaking during an hour-long meeting with President Robert Mugabe in Moscow, said Russia was ready to “thwart” any Western hostility against Zimbabwe. Mugabe, 91, fell out of favour with the West in 2000, after embarking on a controversial land redistribution exercise which he said was meant to redress colonial land imbalances. The West also accused the veteran leader of human rights abuses and slapped him and his inner circle with travel restrictions. Mugabe, who is still in Moscow, joined Putin over the weekend in celebrating the 70th anniversary of the World War II victory over Nazi Germany. Mugabe was invited to the event in his capacity as the African Union chair.